What are you doing on the 10th August if you’re in Sydney? Ever thought of taking the bull by the horns and participated in the City2Surf run? Covering 8.7 miles (14 km), get ready for a fast run, a fun run and a few walkers. Attracting a range of novice sprinters and a flurry of ‘I’d rather walk it, thank you’ attendants, you’ll be watched by over 80,000 supporters. Staggering the start times based on prior running event attendance and running times i.e. the walkers start last, the Sydney City2Surf has been a major city attraction since 1971. If this sounds like a familiar event, you’re right. It was inspired by the barking mad San Francisco’s Bay To Breakers where a good chunk of attendees also walk from the Bay Bridge to Ocean Beach, while the supersonic’s run the whole stretch. Everyone's in costume, even a few in their birthday suit! Organized by the Amateur Athletic Association of NSW and the NSW Women’s Amateur Athletic Association, it originally attracted a mere 2,000 athletic competitors. Over the past few years, a walloping 60,000 people have entered and in 2010, the rise to 80,000 participants broke the record, making it the largest run of its kind…worldwide. If you think you can cut the chase, you’ll need to be training to beat Steve Moneghetti with his record 40.03 minutes in 1991. And all you lovely sporting ladies have a target of 45.08 minutes, set by Susie Power in 2001. The ‘Back of the Pack’ (official name) is for the walkers, wheelchair participants or anyone pushing a kid in a stroller (preferably your own). This is the batch that starts last but then again, someone has to come in at the end, having a leisurely blast and cheered on by the crowd! Starting in Sydney, the route passes through the east city, Kings Cross to Double Bay and ending at Bondi Beach. If you think this is a walk in the park (unless you’re a runner), account that you’ll need to trundle up Heartbreak Hill at the midpoint. It’s steep and ascends from Rose Bay to Vaucluse to New South Head Rock, so maybe trial it out as a test run first to avoid any upheaval surprise. The beauty of this run is that there are so many bands and artists playing along the way, cheering crowds wear novelty costumes and the crowd roars you in support from start to finish. If you’re into sailing the great waters and are in Sydney anytime between July 31 and August 1st, then the Sydney International Boat Show is calling your name. Since 1968, it has annually gone from strength to strength in participants and attendees. The show comprises six halls of undercover displays, alongside 300 large vessels.. Celebrating it’s 47th consecutive year, there’s no slowing down in growth. As the Sydney Convention and Exhibition Center undergoes a major upgrade for the next few years, the Boat Show is going to be taking place at Glebe Island, alongside Cockle Bay. From displays of trailer boats, in-water boats and entertainment, you can watch the in-water displays at Darling Harbour and the undercover displays at Glebe Island. No need to swim between locations as there’s a free ferry service and free bus between the Central Railway Station and both exhibitions. The event times range from 10am to 6pm (Halls) and 8pm (Marina) so you’ve plenty of time to shuttle yourself around. And at $40 AUD for a 3 day adult pass to $21 for a single day pass, the more mature won’t be breaking their wallet during the event. There are also kid prices, family prices, pensioner and senior rates so check out details on the ticket page. The pure focus of the Boat Show is to educate on the diversity of boating lifestyles and get acquainted with the newest technology for equipment. Alongside incredible displays, guest speakers and a lifejacket lounge, you can also dabble into researching about buying a boat. The show website is a firm partner of advocating MyBoatingLife so chat with the online community, both established boaties (it’s a word we coined!) and newbies alike. There are hundreds of exhibitors at the show from Neken Marine to Australian Boat Sales, Stress Free Marine and Garmin Australia. If you thought that 4 days is a long time for a boat show, by the time you sift through the exhibitors list, if you weren’t planning to come to Sydney, you’ll now be heading upstream for the full 4 days. This is a brilliantly well organised event and a must-show-up for anyone who’s a water fan. 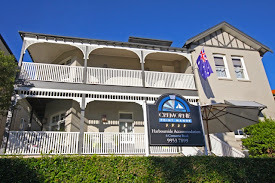 Always remember that if you’re on a budget and looking for somewhere to stay, yet another short ferry ride away is one of the oldest hotels in Sydney. Cremorne Point Manor’s boutique hotel is a sensational choice for peering across the clear skyline and enjoy downtown Sydney and the Opera House. Voted a 4th consecutive year by TripAdvisor for ‘Certificate of Excellence’ award, take a look at the home page video. The views are stunning and after a long trek around the Boat Show, you’ll be happy to be back on dry land again. From the 19th July to 28th September, the Archibald Prize Exhibition takes place in Sydney. As it’s on for such a lengthy duration, there’s no excuse to non pop over and check it out if you’re a local or traveling to NSW. Since 1921 with the first award given, this is one of the oldest and most highly recognized art awards in Australia. With judges from the Art Gallery of NSW trustees, the award is given to the best portrait painting and if you want to mingle with the who’s who of Australian culture, you’ll be in good company. From celebrities to art gurus, famous sports heroes and politicians, pull your sleeves up so you can rub elbows with the hob nob of brilliant society. The Archibald Prize competition is solely given to an artist resident in Australasia and entries in the Prize are eligible for also the ‘Packing Room Prize.’ This is a nifty and quirky award that was first given in 1991 and is chosen by the Gallery staff that provides 51 percent of the vote. There’s also the People’s Choice Award (starting in 1988) which receives votes by (obviously), you…the public. If this information has got your acrylic paints, canvas and mixed media jumping with glee, you can enter for 2015. Naturally the 2014 prize entries have closed so you have a few weeks to jump on the entry bandwagon with the cutoff date by 27 June. The link provides the criteria and eligibility instructions so play close attention before you start entering. To keep you on your toes, the value of the prizes range from the main Award at the value of $75,000 AUD to Packing Room Prize of $1500 and People’s Choice at $3500. Possibly your art work will make the cut for next year and if you want to be in great company of past winners like Del Kathryn Barton, Matthew Lynn and Tim Storrier, you’ve got to move swiftly. For anyone who is clueless about artwork and has issues holding an orange crayon, this is the time to really educate yourself on outstanding portraits. It’s also an amazing way to wow clients if you’re in the city on business and want to show off how much (or little) you know about native artists – so much more interesting than standard corporate dinners, right? Only 15 minutes by car and 30 minutes by train from the exhibition (Art Gallery of NSW, Art Gallery Road), you can then be inspired by the incredible Harbour views from one of the oldest hotels in Sydney. Take a look at the website home page to see the tour from the hotel and surrounding views. While you’re mulling over the affordable Cremorne Point Manor rates, remember that the Manor has just received the Certificate of Excellence by TripAdvisor…for the fourth year in a row. It’s a work of art in itself, yes? Is Sprinting, Running Through Your Mind This July? Total pun intended in the title as the Real Insurance Sydney 10k is back again for the third consecutive year on the 13th July. For all those with tricky knees, ailments or a newbie to running, there’s also the newly introduced 5k race so you can pace yourself and maybe aspire for the 10k next year. The idea of this race isn’t about the finishing line or who gets to be in the Guinness Book of World Records for the fastest time reach. It’s all about galloping around some of the most stunning locations by Sydney Harbour. The start and finish takes place at the sensational Rocks so if you feel that you’re going around in circles while you sprint, you’re not wrong. During your excursion, you’ll get to see Darling Harbour, Barangaroo area, Hickson Road, Cockle Bay and naturally, the Opera House on this intentional flat course. Since the Rock’s Market will be open on the 13th, remember to spot out some great potential buys for purchasing later as a ‘well done to me gift’ for finishing the race and raising philanthropic hard cash. It’s obviously not only a super healthy way to fundraise for charity and keep fit, but also an amazing experience for visitors in the Sydney area, who seriously need to cross off this 5 or 10k from their bucket wish lists. Imagine the adrenaline of sprinting around the city with fellow locals and tourists alike, racing past the sensational views and having the certificate to prove it! It’s also a great way to try attempt the past record wins of 29.43 minutes by Liam Adams in 2013 or Martin Dent’s impressive 28.37 minute win in 2012. All running females, you’ll have to beat 32.12 minutes by Lisa Weightman in 2013 to make it to the Wikipedia credentials page so get wiggling those toes in the new running shoes. It’ll also put you in good stead for the Sydney Marathon in September, if you feel you can maintain the training between now and three months time.